Camping des Nations si trova a Auberives-sur-Varèze, Isère. Questo campeggio dispone di piazzole delimitate, sia ombreggiate che, senza ombra e piazzole poco ombreggiate. È possibile affittare casemobili. Il campeggio dispone di un parco giochi. Ogni anno un ispettore visita il Camping des Nations, controllando oltre 200 tra attrezzature e altri punti di interesse del campeggio. L'ispettore è un dipendente ACSI e non lavora per il campeggio. A very pleasant site very easy to find, used by many as a stopover, but is also ideal to explore the greater area - we stayed 7 days. The couple who run it are very welcoming and when we had a medical issue got us to the help we needed. Nothing was too much trouble, they went beyond normal site owners. Spotlessly clean and tidy, sanitation cleaned thoroughly every morning. On-site cafe and bar up to Sep 15th and is good value. We’ll definitely be back here. We stayed with our caravan and dog, originally for 2 nights but that became 7. We were welcomed by the friendliest couple we have met for some time. The site is mainly used for overnighters, which is a shame, as we found it great as a base to tour some very pleasant and unspoilt sites. Food and drink were served up to Sep 15th, which was OK. One major help was the need to find medical assistance, they could not have been of more help. With that kind of service and easy access from the N7, we’ll be back. Oh, one word of warning if you use the ACSI book. There is no access from exit 11 to the N7. You need to take exit 10, but that can be a bit of a nightmare at times. I would go down to exit 12 and drive back up (€6 in peage with caravan, but worth it). Back again. Lovely site by a really lovely family. Still mainly being used as a one night stopover which is such a shame as the pitches are excellent, the site is quiet and the area is well worth seeing; Base de Loisirs Les Roches-de-Condrieu, Condrieu and a nice little village with a bakery Clonas-sur-Varèze. We were too early for the pool but it was looking good. This is a lovely site with good sized pitches in a peaceful location with woods around it and a good walk through them and the local orchards. It is run by a super young couple who are very friendly and helpful. The facilities are ample and kept really clean. Fresh bread and super croissants every morning (7:30am). We were out of season so the café and pool were closed. Most people seemed to use this as a one night stop-over, which is a shame as the site is super and the surrounding area well worth spending time in. Condrieu is a short drive away with lovely walks along the Rhône River and a lakeside beach. The nearby town of Roussillon is ‘proper’ French, not touristy. On the negative side, could do with a motorhome grey waste facility and I would pay a bit more per night for loo paper, hand soap and drier in the facilities. Friendly and helpful staff. We used a tent area. Sites are good and amenities well maintained. I recommend this camping ground. Volete prenotare il Camping des Nations o oppure saperne di più? Potete farlo usando i seguenti dati. A7 uscita Vienne, seguire N7 fino Auberives-s-V. Il campeggio è a destra a sud del paese. Dovrete prendere uscita 11 da nord e uscita 12 da sud sulla A7. 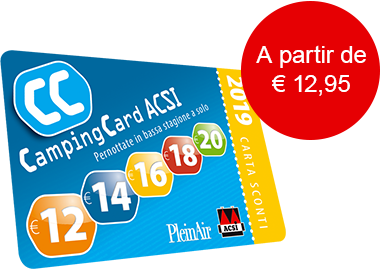 ACSI Eurocampings invia la tua richiesta di informazioni al "Camping des Nations".